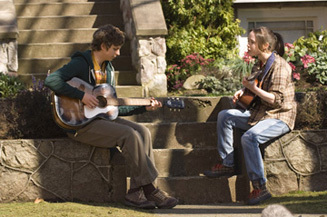 Juno, that $6.5 million-budgeted Fox Searchlight feature released in late 2007, made a big mark at the box office by the time it exited theaters, earning $143 million stateside and another $81 million and change abroad. Critics loved it. Audiences loved it. And let’s not forget about screenwriter Diablo Cody, who now has enough awards on her personal shelf to call it an early retirement. But put its successes aside for a second and answer this question: How well do you know it?